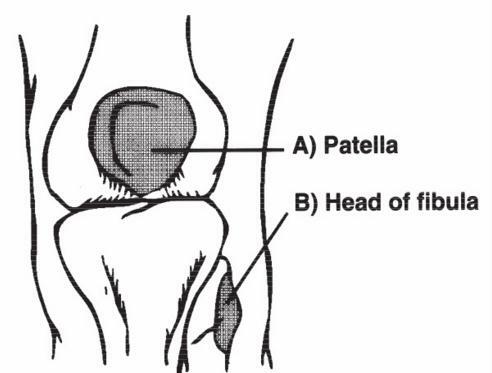 The Ottawa Knee Rules determine the need for radiographs in acute knee injuries. This screening tool was developed because of the need for a rapid and accurate way to avoid unnecessary imaging. "Plain radiographs of the knee are among the most commonly ordered radiographs in U.S. emergency departments; 60% to 80% of patients with knee pain have a knee film at an estimated annual cost of $1 billion." 92% will not have a fracture. An estimated 1.3 million patients are seen annually in US emergency departments due to acute knee trauma. Although only 6% of these patients have sustained a fracture, the vast majority undergo plain radiography of the knee. More than 92% of these radiographic results are negative for fractures and exemplify the many low cost, but high volume tests, that add to health care costs.The Ottawa Knee Rules were developed in an attempt to allow physicians to be more selective with radiography, without missing fractures. A prospective study by Stiell et al found the rules to be 100% sensitive for identifying fractures of the knee with the potential relative reduction in the use of radiography to be estimated at 28%. Several studies have examined the effectiveness of the Ottawa Knee Rules, with each reporting the Rules leading to a decrease in the use of knee radiography. The Rules were also associated with a reduction in waiting times and costs. Application of the Ottawa Knee Rules worldwide would be very important and advantageous in decreasing health care costs and unnecessary exposure to radiography without risking the quality of patient care. With regards to applying the Rules in children, the evidence is conflicting. In the past, several studies have been performed but all have reported varying results. Some have shown the use of the Ottawa Knee Rules in children as being accurate and efficient, but many have reported the opposite as being true. Therefore, it is safer that the Ottawa Knee Rules be not used in children under the age of 18. As such, there is an important need for more concise studies to investigate the effectiveness of the Rules in children. Only when the results become consistent should a clear and general conclusion be made. Until then, the consensus is that under the age of 18 years is considered an exclusion criteria. Examine if the patient is able to bear weight on the affected leg. First, ask the patient if he/she was able to weight bear and be able to take four steps immediately after the injury. Then ask the patient to take four steps. If the patient is unable to do this due to pain, it can be concluded that this part of the examination is positive. If the patient is able to take at least four steps on the affected leg (without a limp), we can conclude that this part of the examination is negative. Steill et al reported a 26.4% reduction in the number of adult patients referred for radiographs and lower medical charges when the Ottawa Knee Rules were applied. Although there is conflicting evidence, Khine et al noted 46% of patients aged 3-18 years would not require radiographs with 92% of fractures being identified. A systematic review by Buchmann et al found a negative result on the Ottawa Knee Rules as being associated with a fracture probability of less than 1.5% in the adult population. ↑ Jackson JL, O'Malley PG, Kroenke, K. Evaluation of acute knee pain in primary care. Ann Intern Med. 2003 Oct 7;139(7):575-88. Review. ↑ McCaig LF. national Hospital Ambulatory Medial Care Survey: 1992 emergency department summary. Advance Data. 1994;245:1-12. ↑ 4.0 4.1 National Center for Health Statistics. National Hospital Ambulatory Medical Care Survey 1992. Hyattsville, MD:National Center for Health Statistics; 1994. ↑ Stiell IG, Wells GA, McDowell I, et al. Use of Radiography in acute knee injuries: need for clinical decision rules. Acad Emerg Med. 1995;2:966-973. ↑ Gratton MC, Salomone JA III, Watson WA. Clinically Significant radiograph misinterpretations at an emergency medicine residency program. Ann Emerg Med. 1990;19:497-502. ↑ McConnochie KM, Roghmann KJ, Pasternack J, Monroe DJ, Monaco LP. Prediction rules for selective radiographic assessment of extremity injuries in children and adolescents. Pediatrics. 1990;86:45-57. ↑ Moloney TW, Rogers DE. Medical Technology: a different view of the contentious debate over costs. N Eng J Med. 1979;301:1413-1419. ↑ Angell M. Cost containment and the physician. JAMA. 1985;254:1203-1207. ↑ Stiell IG, Greenberg GH, Wells GA, et al. Derivation of a decision rule for the use of radiography in acute knee injuries. Ann Emerg Med. 1995;26:405-413. ↑ 11.0 11.1 11.2 11.3 11.4 Stiell IG, McKnight RD, Greenberg GH, McDowell I, Nair RC, Wells GA, Johns C, Worthington JR. Implementation of the Ottawa Ankle Rules. Journal of the American Medical Association 1994; 271:827-832. ↑ Bachmann LM, Haberzeth S, Steurer J, ter Riet, G. The accuracy of the Ottawa knee rule to rule out knee fractures: a systematic review. Ann Intern Med. 2004 Jan 20;140(2):121-4. Review.